We had a productive week, things have been really good this week!! We have had good visits with Blake, he is almost religion happy, like thats literally all he will talk about haha! We weren’t able to see our part member family because the kids were with their Dad this week. We had dinner with the Mays yesterday. The Mays are awesome! On Saturday an investigator the other Elders in Slidell are working with was faced with quite the decision to make! She was scheduled to be getting baptized at 5:00. Around noon she got a call from her boss telling her that she needed to be at work at 5:00. So she had a pretty big dilemma. She decided that she would rather get fired from her job to go onward with the baptism! She ended up being able to work everything out so that she could be at work at 6:00 instead. But what a great act of faith by her. 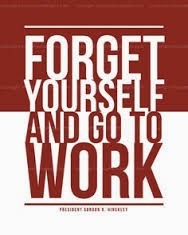 God has given us agency to make decisions for ourselves. To decide whether or not to follow Christ and His gospel. Though it often times is the harder road he will provide a way through! The gospel is true! I am doing great! 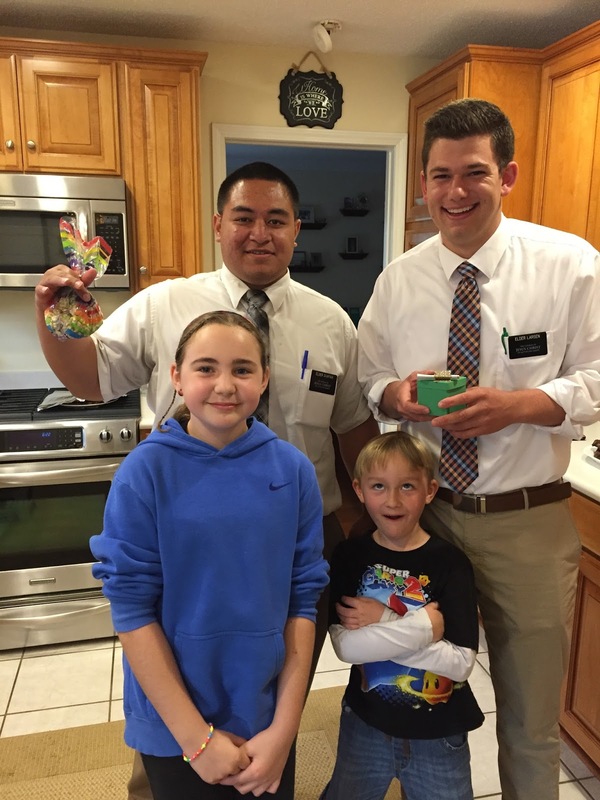 I have learned so much from my mission, life lessons that I couldn’t have learned anywhere else. Everything is great down here, I love it. My area is awesome and the Slidell ward is a really good ward! I have been so lucky in the places I have served! I’m about to die though because its going to get so hot soon! Hey everyone! Well this week was pretty darn good! A few weeks ago Elder Suapaia and I were inviting each member that we would go and visit to join us in a special fast for us to find someone to teach. Everyone graciously accepted our invitation and so we all fasted and prayed on fast Sunday in March. Obviously nothing came of it immediately and even the next week not a lot came from it but we continued to work. Towards the end of this week we were getting a little discouraged because not a lot was happening for us. 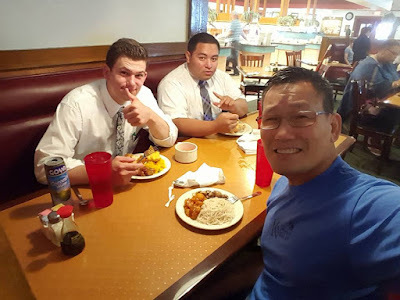 On Sunday we showed up to church, went to Ward Council, afterward we went into the chapel for Sacrament meeting and there was a guy sitting in there with a triple combination and a notebook. Elder Warren was talking to him when I walked in and I went up and said hello to him and started talking to him. He was telling us how he had met a Mormon while he was in college years ago and noticed how he was always so happy! After college he had gone down some wrong roads and was trying to get his life back in order. 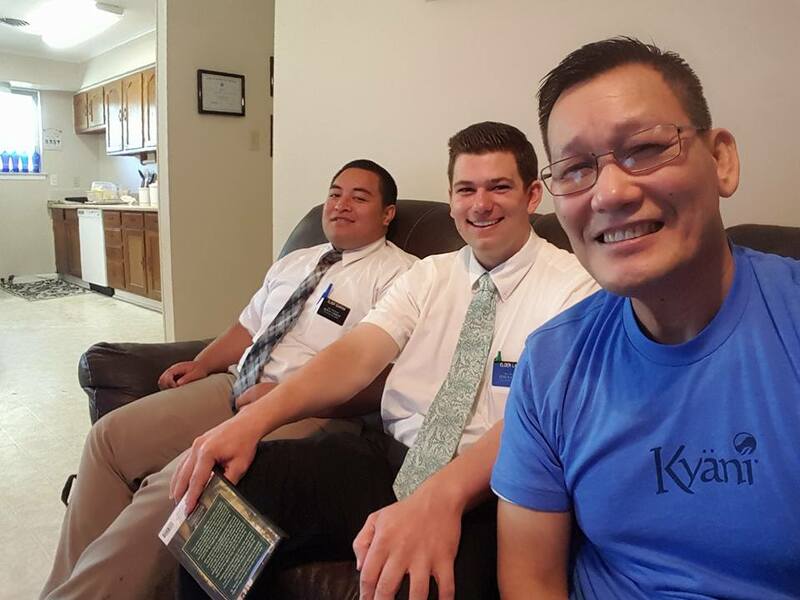 He had read the entire Book of Mormon and was going through the Doctrine and Covenants. All these things he was telling us, I was pretty shocked! He then said "I might want to try and become a member of the church". 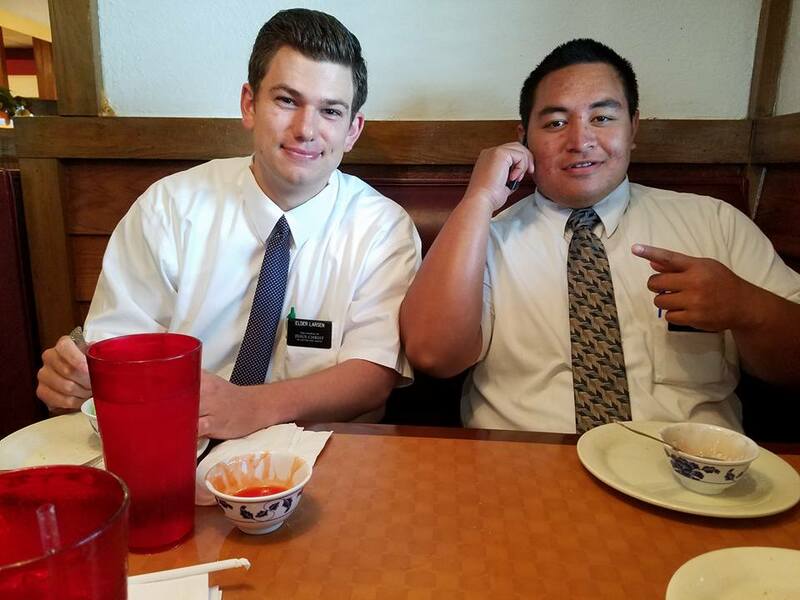 During Sacrament meeting he pulled out a picture of the Peter Whitmer log house that he had drawn and was telling me how he was creating a 3D wooden picture of it as well. So this is what can happen when you fast in faith. Heavenly Father answers your prayers! him that knocketh it shall be opened. I am still pretty blown away at what happened but I know that the Lord will provide and nothing can go forward in life unless it is given from the Lord. Things are going really well. 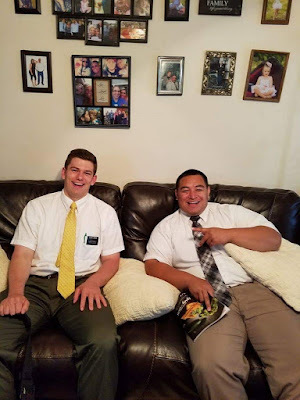 We will be walking or riding down the street and someone who looks busy or pretty uninterested in what we are doing will be outside and I will always have an internal battle with myself whether we should go talk to them and basically guilt myself into going up to them and most of the time they have a connection to the church somehow! Its amazing how the Lord works! "Hi This is Ashlea May. We have enjoyed having Elder Larsen to dinner at our house! He's really been so great with my family! 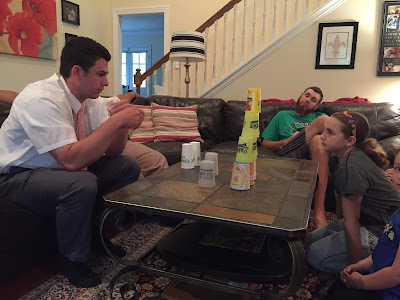 My kids love him and he's really connected well with my non-member husband. I'm so grateful. Thanks for sharing him with us!!" This is John! 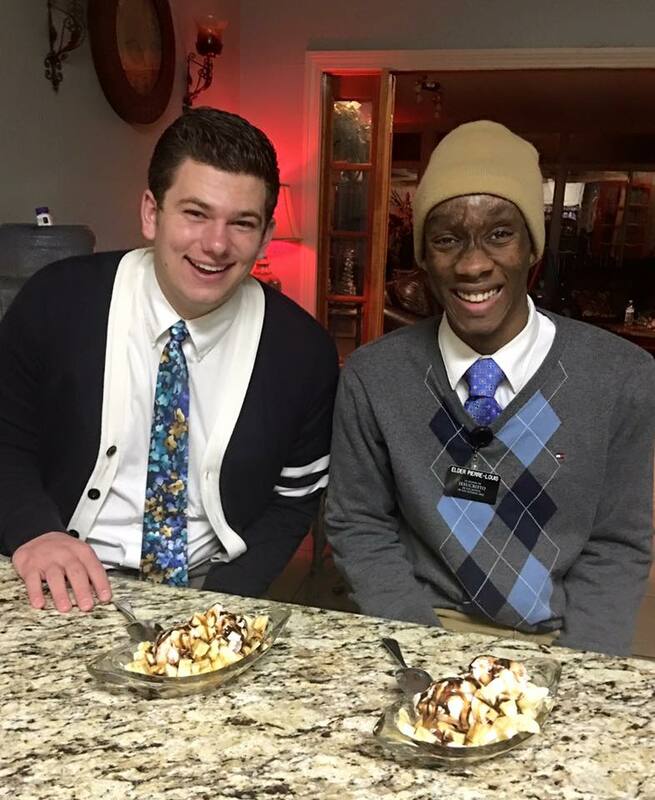 Elder Vest and I found and we started teaching him back in October when we were together in Jackson. He just got baptized! This week we had a pretty cool experience while we were finding. We were walking down the street and started talking to this guy who was out on his porch. We talked to him about his cars he had and about his family. While we were talking his 2 little girls came outside they were 10 and 7 years old. They asked us who we were and we told them. 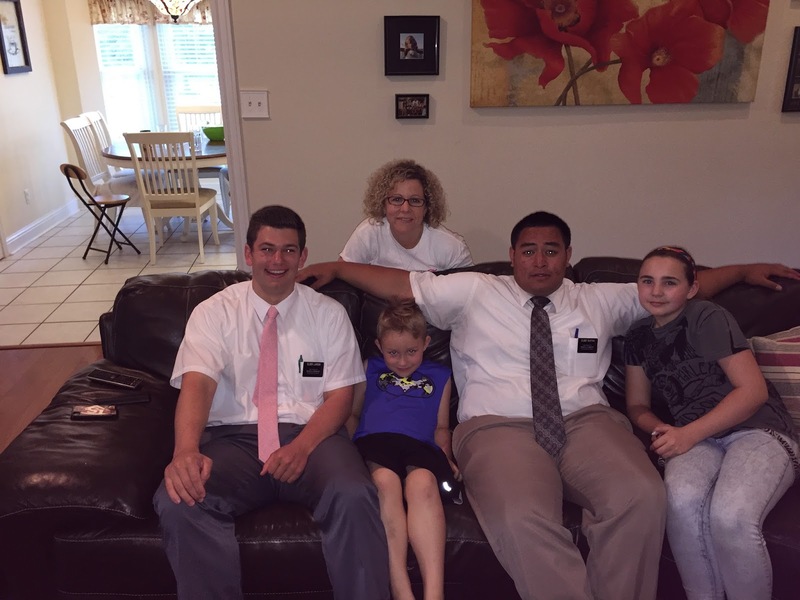 They asked their dad, “what do Mormons believe?” Their Dad said something along the lines of "I don’t really know, would you like them to come back and talk to us?". The little girls were both excited and wanted to know more about the Book of Mormon, we gave them a pamphlet and told them how they could download the Book of Mormon Stories online. The next day we got a notification that one of the little girls had gone to Mormon.org and ordered a copy of the Book of Mormon. Its funny how young people are so much more receptive and open to the message of the Restoration! I’m grateful for little children who inspire their parents to do good things! Hopefully we can all be more like the little children! Mission Conference with Elder Holland! 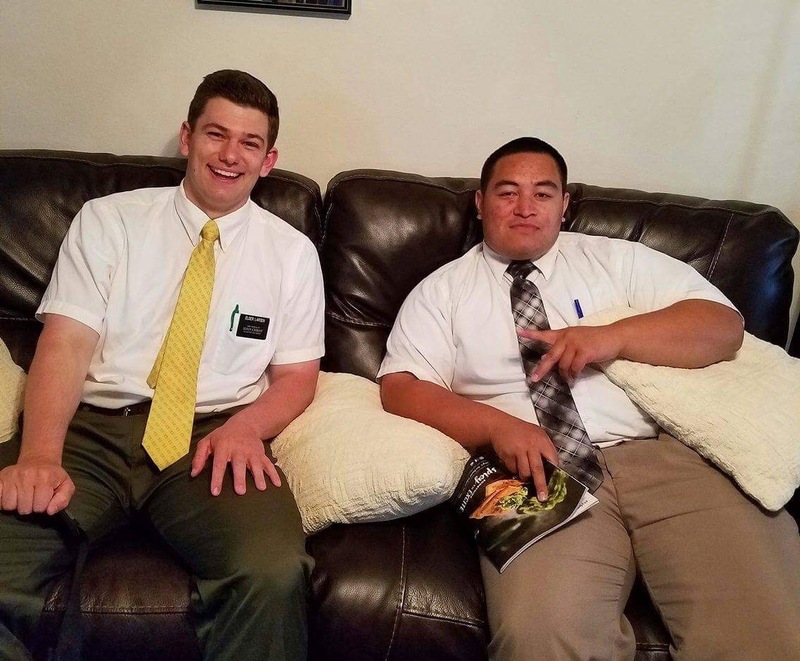 This week has been good, Elder Suapaia and I have been on bikes this week! It has been pretty fun! All the Mardi Gras parades and stuff are gone and everyone is back in school today. We had a lesson with Peyton who is 9 years old. 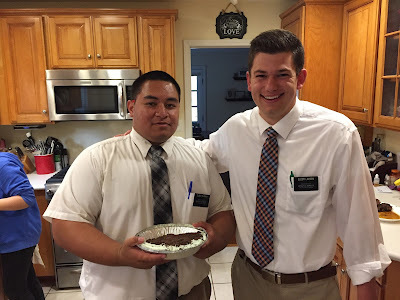 His mother is a member and is starting to come back to church. We had the Primary President come with us and had her teach a lesson on baptism. She did a good visual for him, she had a toilet paper roll with 2 faces drawn on it 1 happy and 1 sad. As she was talking she was teaching about the effect of sin and how it fills us with dirt, in the process she filled it with red pieces of paper. As she continued she had a white baton which represented baptism. When she filled the roll with the baton all the red paper was pushed out and the sad faced turned into a happy face. Luckily we can all be cleansed from sin because of the Savior. Thanks for all your support and I hope you have a great week!